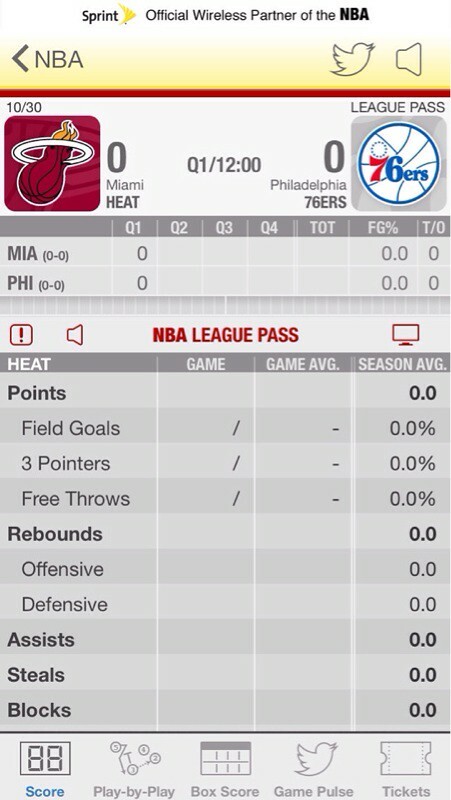 The NBA Game Time app has been updated for the 2013-2014 season bringing a new redesign for iOS 7, free game recaps, team video, statistics, rosters, and more. The Award winning NBA Game Time is the official app to follow the NBA wherever you are! Only NBA Game Time from Sprint brings you FREE unlimited live coverage of every NBA game. Sprint customers get free access to NBA Game Time Plus with live radio broadcasts, game video alerts and more. All FREE with an Unlimited data plan from Sprint. -Game recap videos and alerts NEW! -Live streaming of press conferences and other live events NEW! -Team rosters and stats, league leaders, and league news NEW! -Team video now available in Game Time NEW! -NEW! Listen to your home announcer! ● NBA League Pass subscribers will now be able to enjoy both the home and away TV broadcasts from every game. 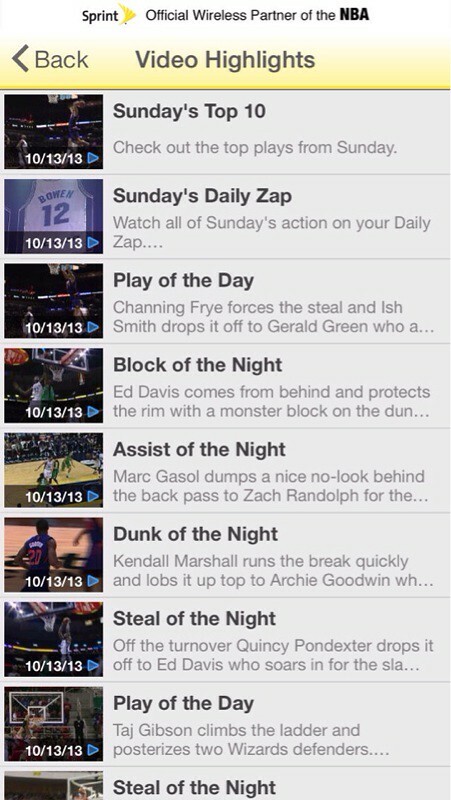 ● NBA League Pass subscribers will now be able to enjoy archives from each nationally broadcast game. ● Game Recaps from every game now free. ● Team Video from every team now free. ● Player Statistics, Team Rosters, and Team Statistics now free. ● Live Video alerts let you know when we're streaming press conferences and events live. 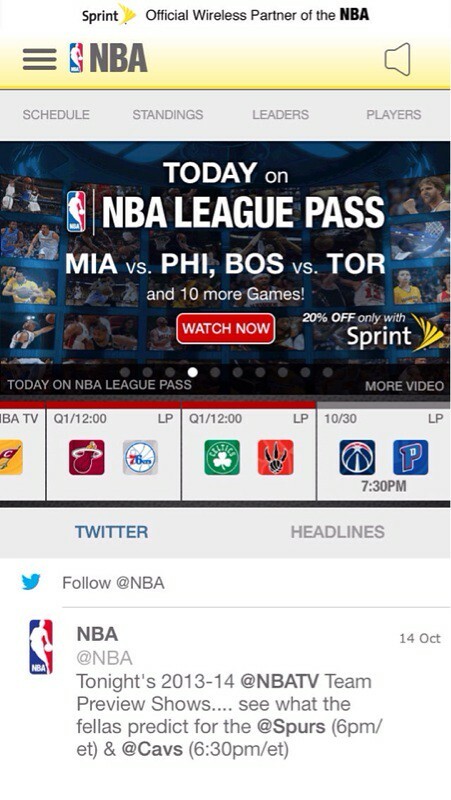 ● League Pass Push Notifications now let NBA League Pass users know when games they can watch get exciting. 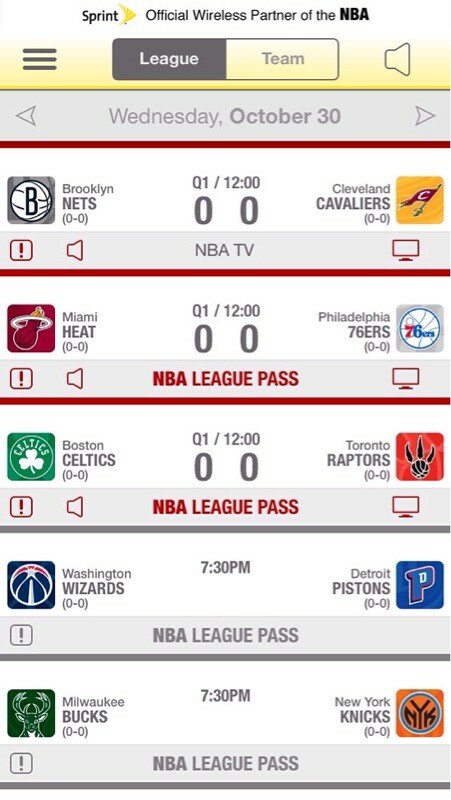 You can download NBA Game Time 2013-2014 from the App Store for free.